Hello everyone! 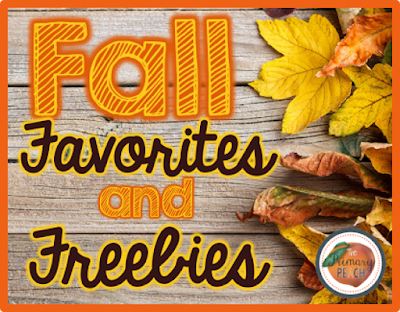 It’s Robyn from Kreative in Kindergarten and I am here to share some Fall favorites and a FREEBIE! What is there not to love about Fall? I love the cooler weather, boots, sweaters, pretty leaves, and of course some good ole’ football! Go DAWGS!! Now on to the freebie!! My class has been learning all about addition subtraction and they are doing so well!! However, one of the most difficult concepts is ten more and ten less. 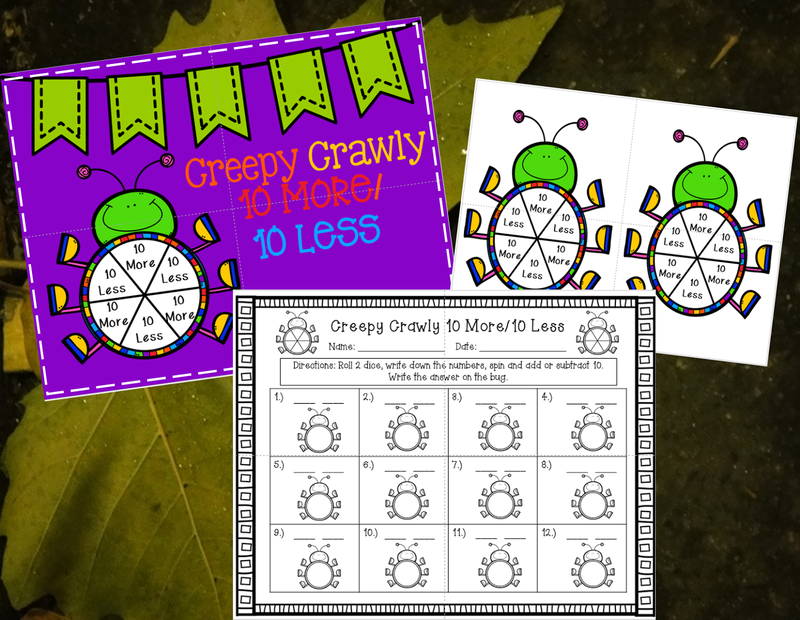 I created this fun spinner activity to hopefully make the concept stick! 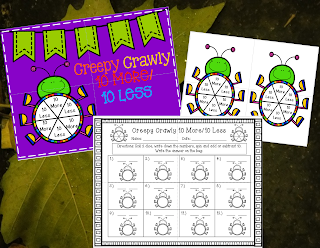 To access this freebie click HERE! 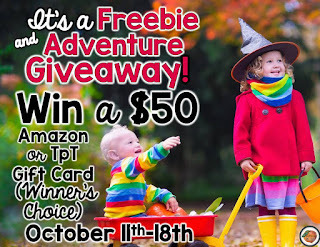 Have you entered the giveaway!? 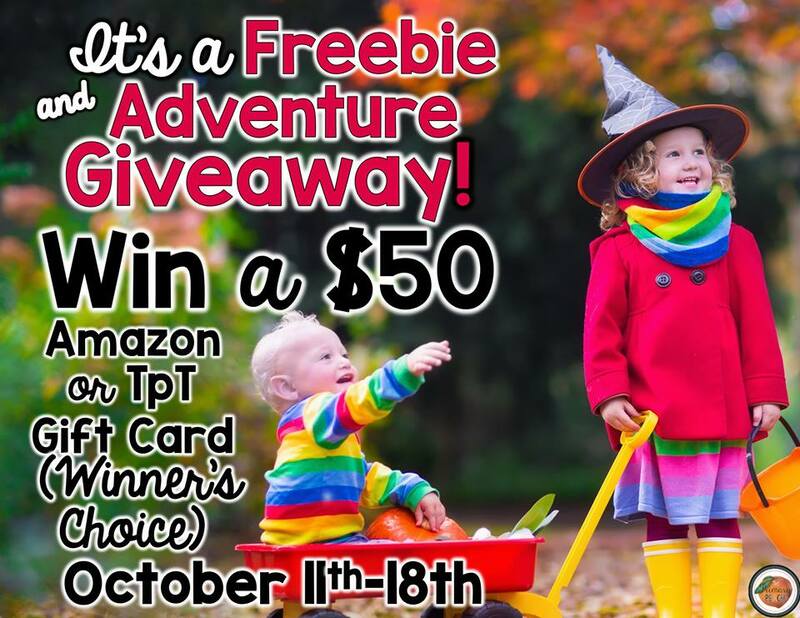 You could win a $50 gift card!! Enter below! 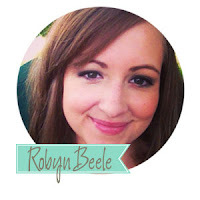 Robyn, I like the iidea of your spinner activity, but I'm wondering if I'm missing something. If you roll 2 dice it works fine to add 10, but the only rolls you can subtract 10 from are double 5’s, 4 and 6, 5 and 6, and double 6’s. Debbie I should have made it more clear, you do not add the numbers on the dice. You use the dice to create your 2 digit number. Example if you roll a 2 and 6 your number would be 26. Then you would add and take away ten. I hope that makes sense! Sorry for the confusion. Hey friend this is a lovely post on how to be creative in kindergarten. Gratitude for sharing this wonderful post. Actually I have just enrolled my youngest to a domestic Phoenix kindergarten and I think all this stuff would be very helpful for him in the class. Isn’t it?